Nicki Minaj is by far one of the greatest female rappers that the game has ever seen. Plus, she can also sing - she has a lovely voice! And while a lot of people, especially the dudes, love to talk about her...body parts, this girl has a lot more to show this world than her "humps and bumps". She writes her own lyrics, knows how to pick just the right beats to turn her next song/rap into a banger and is quite an intellectual human being. She was rumored to have a relationship with Drake, the most popular hip-hop artist of the decade, but it turned out to be just that - a rumor. In any case, Young Money's own is still a force to be reckoned with, so, let's check out some amazing facts about Nicki Minaj! - So, the extravagant superstar was born on December 8, 1984, which makes her 33 years old. Her hometown is Saint James, Trinidad and Tobago, even though she grew up in South Jamaica, Queens, NY. She's got Trinidadian, Indo-Asian (!) and African (!!) blood running through her beautiful veins. That's quite an amazing fact about Nicki Minaj, isn't it? Well, it definitely IS a tasty combination, I can tell you that much! - By the way, Nicki Minaj is just her stage name. Her real name is Onika Maraj. I honestly don't get why she had to pick a "nickname", because her "official" one is already pretty cool! She has brown eyes, she's 5'4" tall and she has 3 siblings - 1 sister and two brothers. 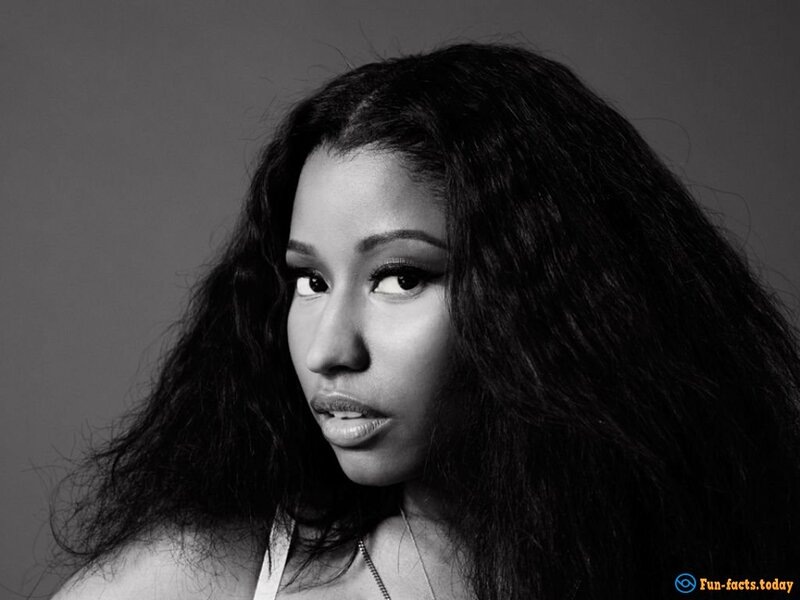 - Amazing facts about Nicki Minaj: The singer/rapper has a tattoo on her left arm in Chinese. What does it say? "God is always with me". That's pretty powerful! Can you guess her favorite color? Pink, of course! Why else do you think her 3 studio albums are called "Pink Friday", "Pink Friday: Roman Reloaded" and "The Pinkprint"?! Oh, and she loves to wear everything pink - naturally. - Nicki is acrophobic, which means she's really afraid of heights. Get this: Nicki Minaj doesn't like cats! Come on, how can that a person who loves pink not love cats?! However, she does like dogs and puppies, so, there you have it. - Amazing facts about Nicki Minaj: Her closest friends call her “Nicki The Ninja”, she really loves Twix's and Kit-Kat's, she claims that she's a great cook and she used to play...the clarinet back in middle school! I bet you didn’t know even half of that, did you? - The rapper/singer got major respect when she started putting out all kinds of dope mixtapes in 2007. So, 2 years later, in 2009, Young Money Entertainment, one of the biggest labels in hip-hop, took her under its wing. - Her first two LPs managed to hit number one on the Billboard 200 chart. Furthermore, back in 2010 she became the first (solo) female artist with 7 singles on the Billboard 100. - In 2013 Nicki was a judge on the 12th season of American Idol. - A lot of experts in the industry call her one of the most influential female MCs of all time, right next to Lil' Kim and Iggy Azalea. This year she made it into Time magazine's list of the most influential people on planet Earth. - Nicki has a lot of alter egos, including Roman, the most popular one. Her fans are called "The Barbs".